I'm reading: its a made well fallTweet this! So...Anticipating the Madewell x Alexa Chung collection. Last collection was so amazing I'm embarrassed to say I think I bought the entire collection except for a couple of things. I blame my wonderful and sweet husband that literally talked me into buying everything. I love him so much! I kept thinking that I would see more girls wearing it but I haven't seen a single girl in it even though it sold out faster than radiohead tickets. (I always say that cause in all my years of concert ticket purchases, there is no one as hard to get tickets to go see than these guys. And I've seen them twice. Literally sold out within a couple of minutes. How is that even possible? TICKETMASTER... tsk tsk tsk.) ANYWAY enough blabbing on. 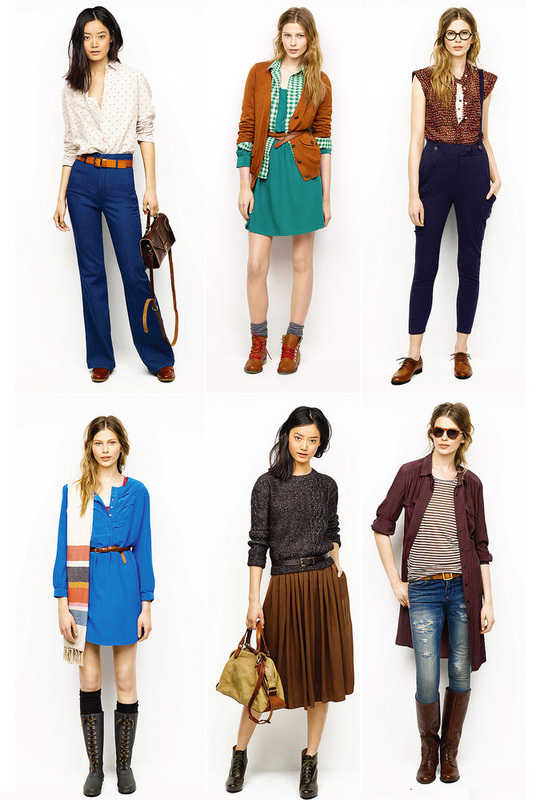 While I wait for the Alexa Chung collection, here is madewell's fall collection. Cuteness x 100! Can't wait to get my hands on a few of these. What about you? i LOVEEEE those blue skinny riding pants! 2009-2011 All Rights Reserved Clouds & Candy.